Many In-Flight Entertainment (IFE) offerings develop their hardware products and software products in isolation, resulting in clunky interfaces and poor usability and now, with Netflix on a tablet, passengers are seeing less value in the seat-mounted screens. 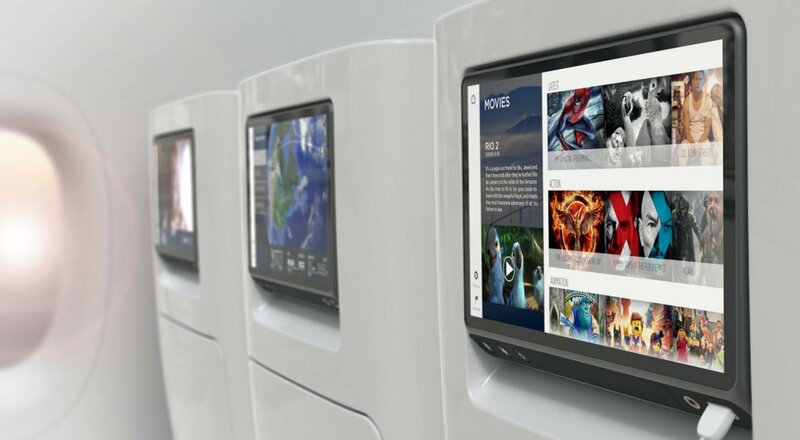 Working with various companies in the aviation industry, such as Airvod and Mythopeia, Design Partners took a holistic approach to designing a new IFE experience — both digitally and physically. Our user-centred design approach uncovered opportunities to make the in-flight experience more fluid and flexible in the confines of the aircraft cabin. We created new user interface designs, industrial designs and instead of competing with passengers’ portables, we looked to integrate them into the customer’s journey. 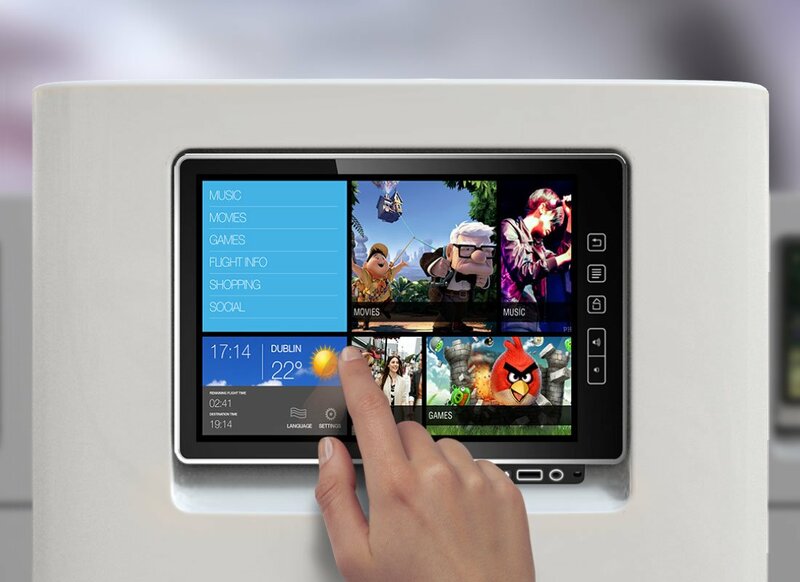 Identifying and integrating meaningful services such as in-flight amenities, shopping and personalised flight data into the in-flight system gives the screen a new relevance. Personalising the on-screen content across the ecosystem of products was a new approach to interaction design in in-flight entertainment. Having your travel information, preferences and smart recommendations at your fingertips makes any journey more comforting and enjoyable. Moreover for service providers, having passengers use the IFE instead of a personal device allows for a better, more targeted use of advertisement revenue. Inviting passengers to connect their own devices to the system created a natural ecosystem of use instead of competing with their pocket devices. The physical controls and ports were positioned in a way to encourage this behaviour that also helped maximise the screen real estate and ensured a thinner, more portable solution. In many existing IFEs the physical buttons and digital interface are unrelated and passengers find them confusing and overcomplicated, the interaction can become slow and inefficient and differentiation for airlines can be more challenging. For Airvod and Mythopeia, the physical and digital experiences of their IFE players were designed in tandem offering a more seamless, beautiful and enjoyable flight for customers and providing a competitive edge to for the airlines. 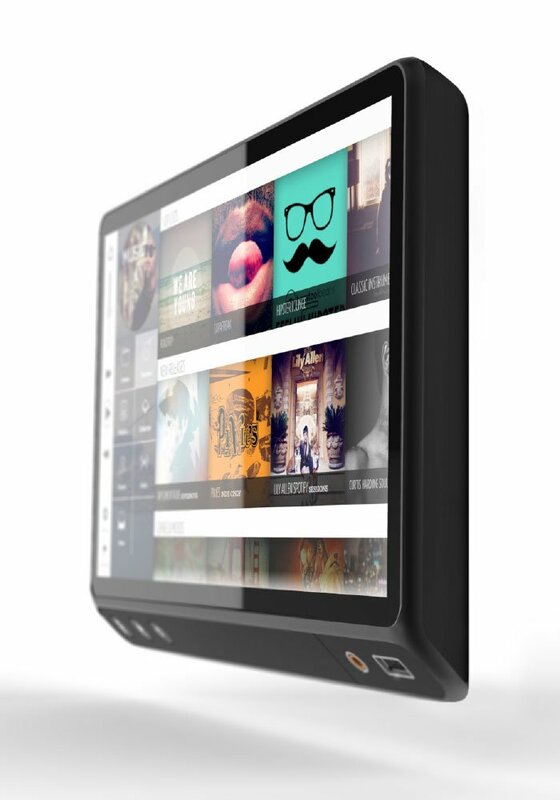 "We are excited to be introducing the very latest entertainment technology on-board and choosing Airvod will ensure that we have the most comprehensive in-flight entertainment solution"